Keeping The Standard For Clean Set On HIGH the Hoover brand is proud to introduce the newest member of the WindTunnel T-Series family - the bagged upright model. This latest addition combines a sleek design with superior, simple-to-use cleaning power at a practical price. The WindTunnel Bagged Upright has intuitive features, such as fingertip controls and a clip below the handle that keeps the cord out of the way while youre cleaning. A 5-position height adjustment knob lets you set the brushroll at the correct height to clean any type of floor easily and efficiently. It also includes an air-powered hand tool and specially designed on-board tools for cleaning tough-to-reach areas. Requiring minimal maintenance, the WindTunnel Bagged Upright has a bag made with HEPA media and utilizes the Clean Drop Bag System, which lets you dispose of a full bag without ever touching it! 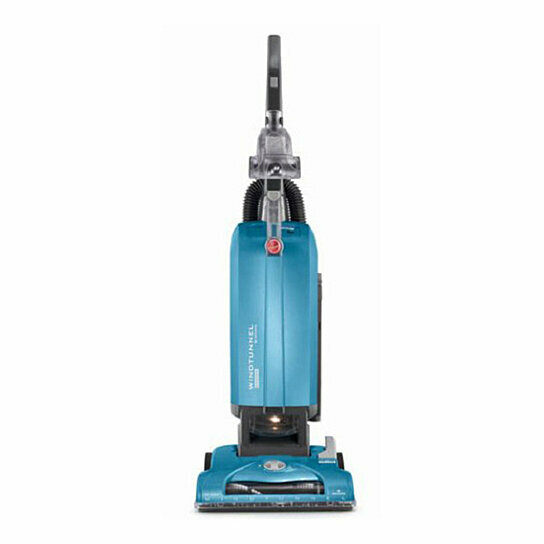 The WindTunnel T-Series vacuums feature patented Hoover WindTunnel technology that removes embedded dirt1 and minimizes blowback or scatter on carpet while offering all the power needed to get floors truly clean.